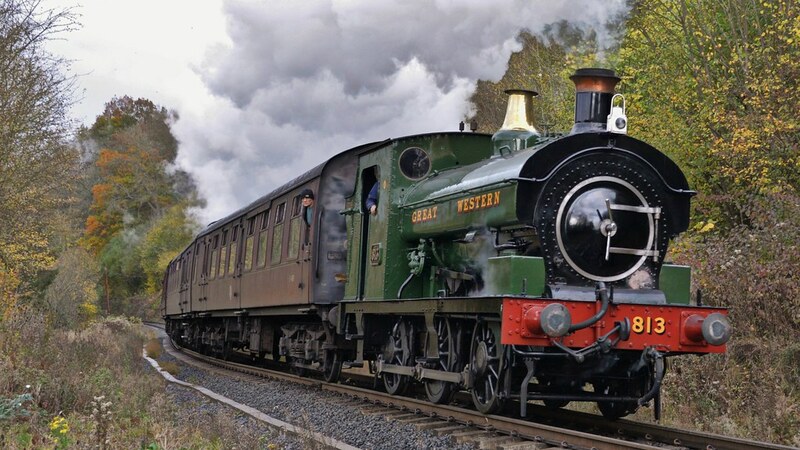 The Bluebell Railway are holding their Branch Line Gala this weekend (18 - 21). Last year the Bluebell had the LNWR Coal Tank 1054 from the KWVR. This year the Bluebell have hired Great Weastern Railway Saddle Tank 813. The locomotive arrived at Sheffield Park today (16/5/18). The locomotives first steaming will be on Friday for the first day of the gala. The Bluebell are operating a special timetable that is based on what it was like when it was a branch line. There will be frequent locomotive changes and sparse trains. What locomotives will be running? So far the locomotive has made a good impact at the railway with people loving her!